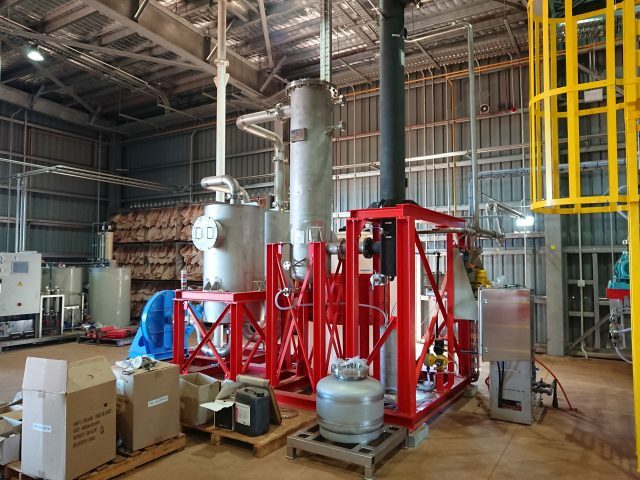 The econ High Temperature Treatment Unit is a continuous process designed for the treatment of catalysts and activated carbon contaminated with mercury, mercury sulphide (HgS), sulphur, and hydrocarbons. 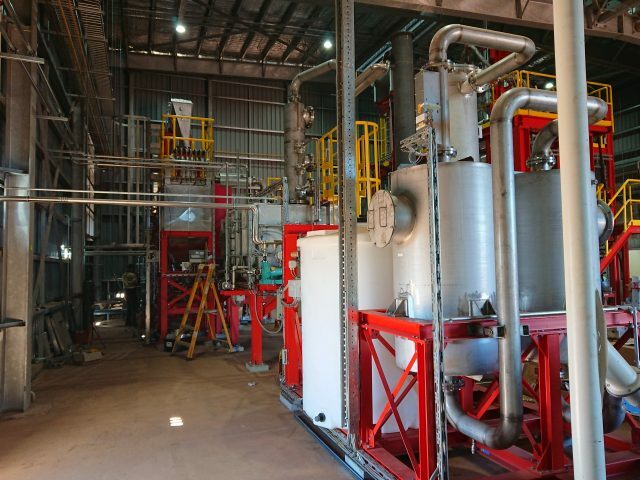 The HTTU uses a direct fired thermal oxidation technology for the high temperature (700 – 1000 °C) destruction of mercury compounds and oxidation of sulphur and hydrocarbons. During the process, the material is continuously mixed to ensure homogenous quality. The treated catalysts are discharged and cooled down. After the treatment, the mercury-free catalysts can be sent to downstream metal reclamation. 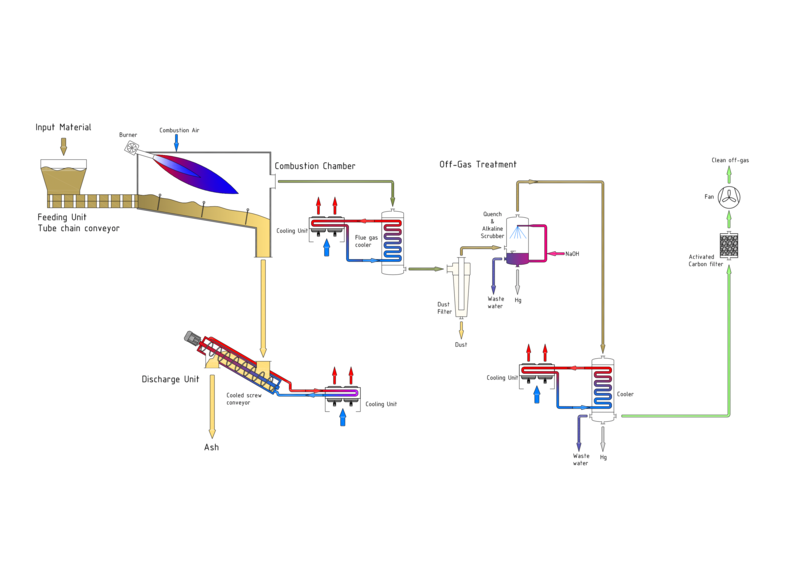 The off-gas is treated in several treatment steps to remove dust, mercury, and SO2 from the off-gas stream. An activated carbon filter ensures the emission limits are met at all times. The wastewater generated in the off-gas treatment is treated in a three-step filtration process in which the mercury is removed prior to discharge into the sewage system.